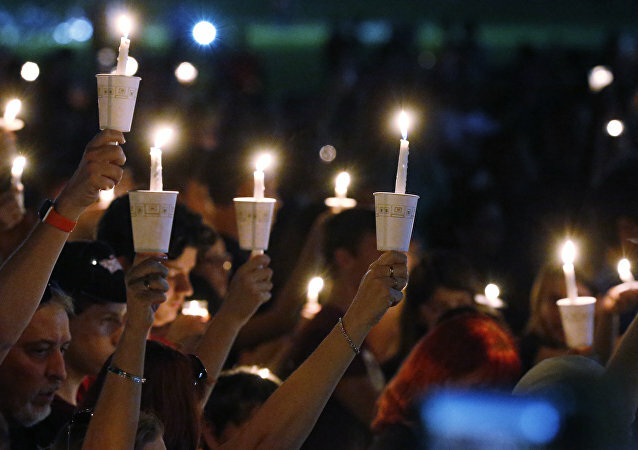 WASHINGTON (Sputnik) - Pulitzer Prizes for excellence in US journalism were awarded to several national and local media outlets for stories on mass shootings and alleged scandals involving President Donald Trump. For the second year, US students across the country organized their peers and headed demonstrations protesting gun violence and advocating for firearm reform, as well as remembering the 17 high schoolers who lost their lives in the 2018 Parkland school shooting. 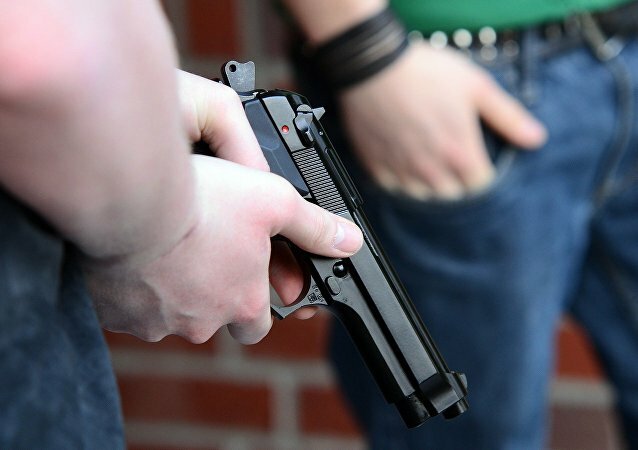 Between the lowest legal gun ownership rate in the region and extremely large amount of guns among criminals, Brazil is set to become the most indicative example of what happens to a country after loosening gun controls. 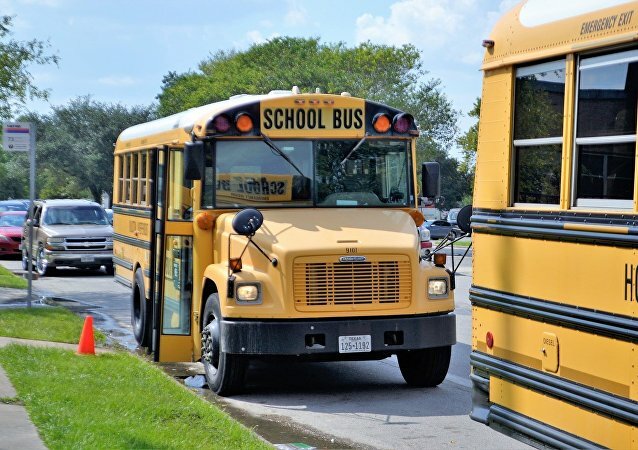 Parents of two black female students at Indianapolis’ Horizon Christian School are calling for a change in the facility’s bullying policy and the acknowledgement of the reality of race relations within the immediate community after finding out their children were allegedly victims of targeted, race-based threats. 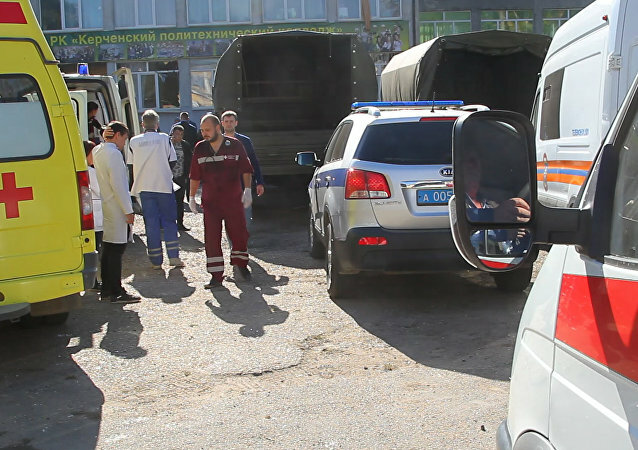 SIMFEROPOL (Sputnik) - A total of 73 people were injured this week in a shooting at a college in Crimea's Kerch, with 47 requiring medical help, Crimea's medical emergencies center told Sputnik on Sunday. A teenager opened fire in a Brazilian school and wounded two classmates, the Globo channel reported. 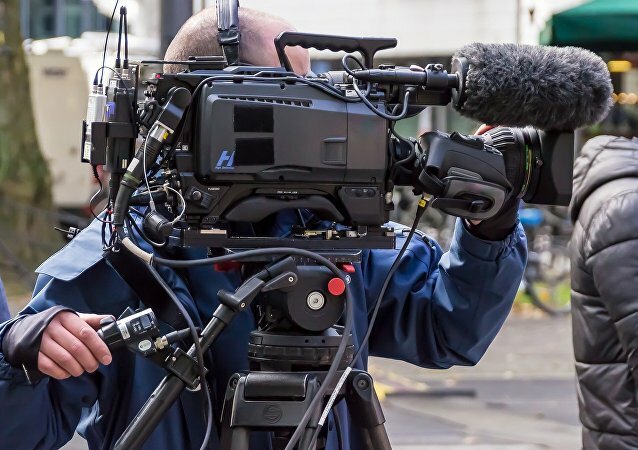 The media specified that the incident occurred in the city of Medianeira, the state of Paraná. With the general election just around the corner, authorities in Malmo have chosen to take precautions against possible gun violence at the expense of voters’ turnout. Some festival-goers have lashed out at 45-year-old Eminem on Twitter for using gunshot effects as part of his performance, which, according to them, instilled panic in the crowd. With just over two weeks ahead of the 2018 World Cup, the England squad has been rocked by what some online users have branded a sensationalized scandal surrounding England striker Raheem Sterling. 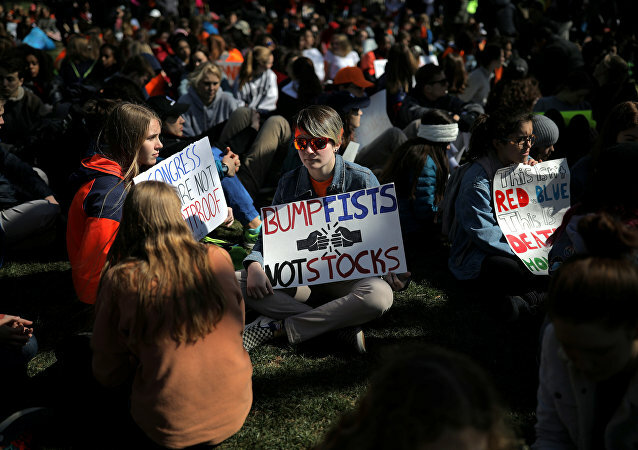 WASHINGTON (Sputnik) - Some 300 high school students gathered in front of the White House in Washington, DC to protest gun violence in US schools, a Sputnik correspondent reported. 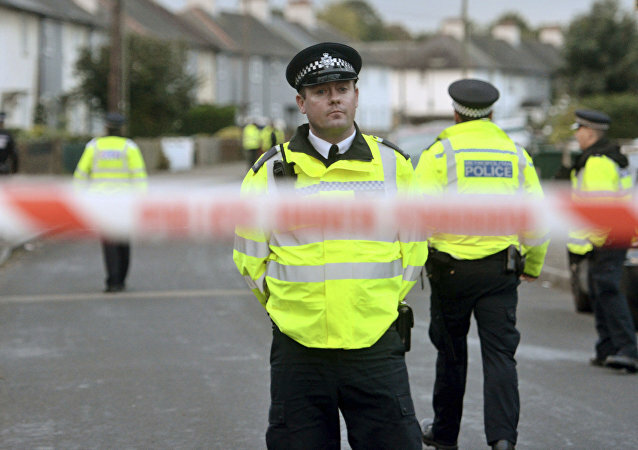 Britain’s capital has seen a sharp increase in violent crime in recent weeks, for which lower police staffing levels have been increasingly blamed. On Friday, a South Carolina state congressman pulled out a loaded 38-caliber handgun during a meeting with constituents, apparently to make a point about freewheeling gun ownership laws in the US. US President Donald Trump has said that the Second Amendment - the right to keep and bear arms - "will never be repealed," after retired Supreme Court Justice John Paul Stevens called for just that. On March 28, US President Donald Trump stressed that the Second Amendment, which protects the right of Americans to keep and bear arms, would by no means be repealed. On Saturday, hundreds of thousands of demonstrators gathered in the nation’s capital and across US cities demanding stricter gun controls in the wake of a February 14 mass shooting at Marjory Stoneman Douglas High School in Parkland, Florida, that killed 17 and injured many others. The nationwide march was organized in the wake of the events at a high school in Parkland, Florida, where on February 14 former student Nikolas Cruz armed with a semi-automatic rifle, opened fire at students and teachers, eventually killing 17 people and injuring 17 more, making the shooting the deadliest school massacre in US history. The Hollywood star and activist spoke at an event at the Global Education and Skills Forum in Dubai, United Arab Emirates. One month after the shooting at Marjory Stoneman Douglas High School in Parkland, Florida, students across Chicago plan to walk out of class at 10 a.m. Wednesday as part of a national endeavor to press lawmakers to pass stricter gun legislation and to honor the lives of the 17 people slain in that shooting. On Tuesday, protesters left 7,000 pairs of shoes in front of the US Capitol building to illustrate the number of children killed by gun violence in the US since the 2012 Sandy Hook school massacre.